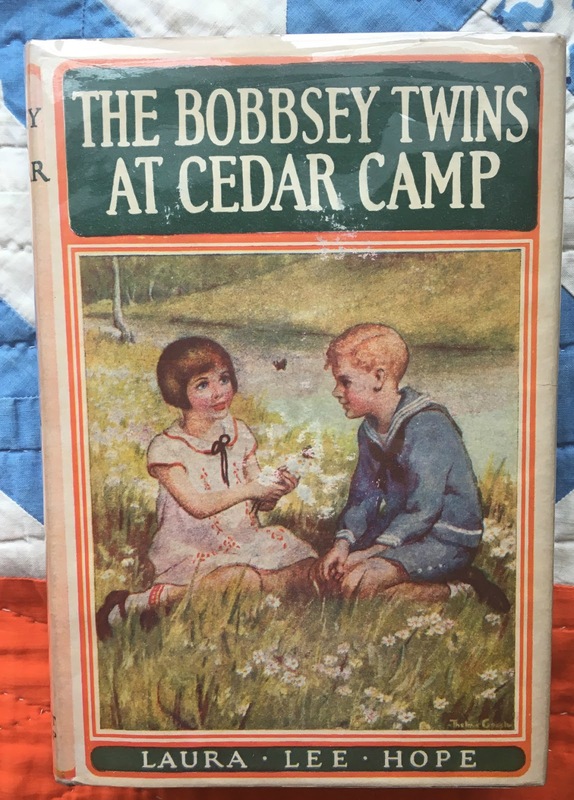 This old business card was tucked away inside a copy of The Bobbsey Twins at Cedar Camp, which was first published in 1921 and was written as the 14th book in the Bobbsey Twins series by Howard R. Garis (1873-1962) under the series pen name Laura Lee Hope. 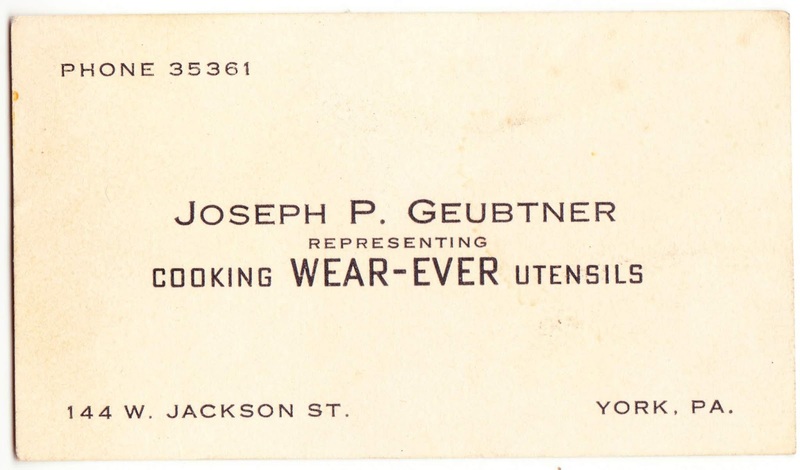 The business card is for Joseph P. Geubtner, who lived at 144 West Jackson Street in York, Pennsylvania, and was selling Cooking Wear-Ever Utensils. Geubtner lived from 1900 to 1982 and is buried in York County. Per a February 1946 newspaper clipping, he was set for the "Christus" role in the Oberammergau and Freiburg "Passion Play" at St. Mary's auditorium on South George Street in York. "By , four out of five homemakers preferred WearEver cookware and it accounted for more than 40 percent of the aluminum cookware business in the United States."